Power: Valen Low (left) locked in one of the matches in the Arnold Classic Australia Arm Wrestling Cup. He had made his intention clear. He wanted to make a statement for South East Asian arm wrestlers by defeating Australian arm wrestler Ryan Bowen at the Arnold Classic Australia Arm Wrestling Cup. But on 14 March 2014, the opening day of the two day tournament at Melbourne Convention and Exhibition Centre, Australia, local arm wrestler Valen Low was knocked out in the semi-finals by Ryan Bowen, the result resigning him to fourth in the right hand under-80kg category. The competition adopts a double elimination format. The 21-year-old Republic Polytechnic student was amongst seven other top arm wrestlers from Oceania and South East Asia at the by invitation only event and was the sole Singaporean competing. "Before the matches with Ryan Bowen in the semi-finals, I actually had a three minute match with Zurab from New Zealand and that actually busted my arm and I was not feeling so well." said Valen who is nursing an injured right elbow. "For the semi finals against Ryan Bowen, my strategy was to slip against him so I didn't put much finger pressure from the start. When the referee said 'Ready, go', he was quick off the go and I slipped in a losing position and I lost to him in that position." On day two, Valen took on Ryan again, this time in the left hand best of five supermatch. This time, he won 3-0, achieving what he said he would before the competition. "I was more confident of my left especially during training. That added drive to win Ryan Bowen was because of the previous day as he won me. I knew that my left was more on point and fresher and I peaked well for my left as compared to my right so there's an added motivation and drive to win." said Valen. Despite his disappointment on the first day, Valen had a "fantastic" experience at Arnold Classic Australia. "I was able to meet arm wrestlers again from different countries, New Zealand, Australia. I pulled as much people as possible till my arms are so sore and busted by the time I'm going back to Singapore so it was amazing. Amazing." said Valen. "I can gauge the standards and view my weak points and strong points and from there improve and prepare myself in the future for the World Championships 2015 which will be a good time. I'm going to do my best." 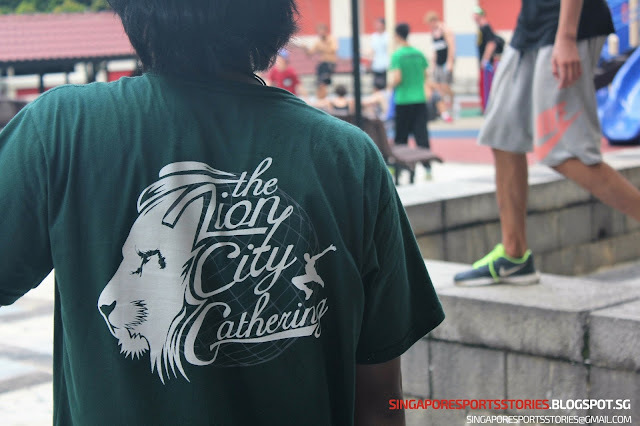 "I would like to thank my sponsors PAWA (Putrajaya Armwrestling Association) for helping me out on this trip and making it possible for me too." said Valen. Arnold Classic Australia is a multi sport meet and this edition is its first. The Arnold Classic Australia Arm Wrestling Cup was previously held under the title FitX Arm Wrestling Cup and Valen was the last winner in the 2014 edition' sunder-80kg category.